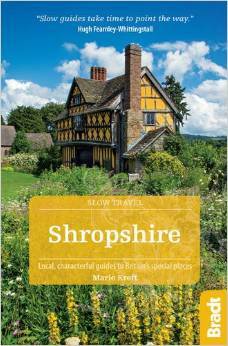 Slow Travel: Shropshire by Marie Kreft was published by the award-winning Bradt Travel Guides in February 2016. Read praise for Slow Travel: Shropshire or buy a copy here. A new title in the series from Bradt that celebrates the slow tourism movement, Slow Travel: Shropshire offers an in-depth tour of this quietly romantic county. From AE Housman’s ‘Blue Remembered Hills’ to the UNESCO World Heritage site of Ironbridge Gorge and Much Wenlock, birthplace of the modern-day Olympics, Marie takes readers along canals, through forests, into castle ruins, churches and real ale pubs – sharing Shropshire secrets alongside fresh perspectives on better-known attractions. The book is geared towards sustainable tourism, with an emphasis on car-free travel, local produce and unusual accommodation. 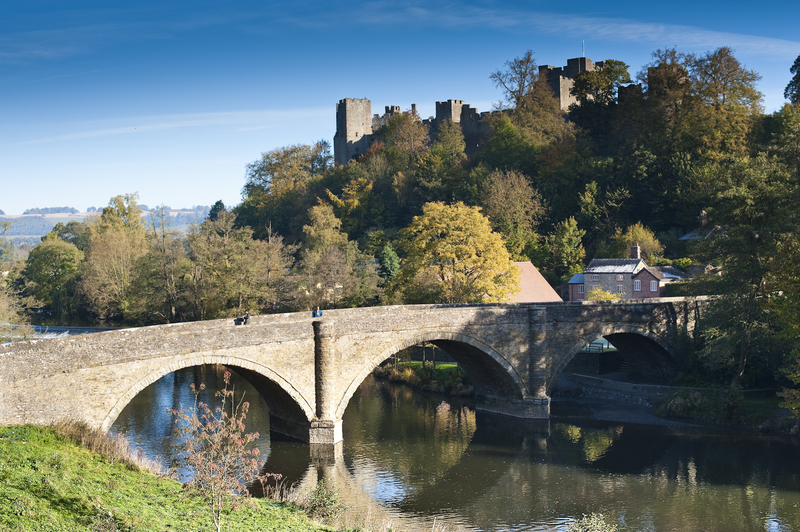 Dinham Bridge, Ludlow image courtesy of Shropshire & Telford TSB. “Bradt has always preferred a ‘slow’ pace of travel. Ours is a sedate, measured approach which is all about getting under the skin of a place so that you leave feeling as if you really know it and haven’t just scratched the surface. The slow travel movement follows in the steps of the slow food movement; it is local, organic, a reaction against clone towns and mass marketing. Our series of Slow guides to British regions is the foremost of its kind, opening up Britain’s special places in a way that no other guides do. Discover the spots that aren’t normally publicised, meet the locals, find out where the best food can be enjoyed (and from where it’s sourced), indulge in a little cultural foraging and discover the Britain you never knew existed with our expert local authors. You can follow Marie’s progress via her Slow Travel: Shropshire Facebook page or say hello on Twitter @mariekreft.